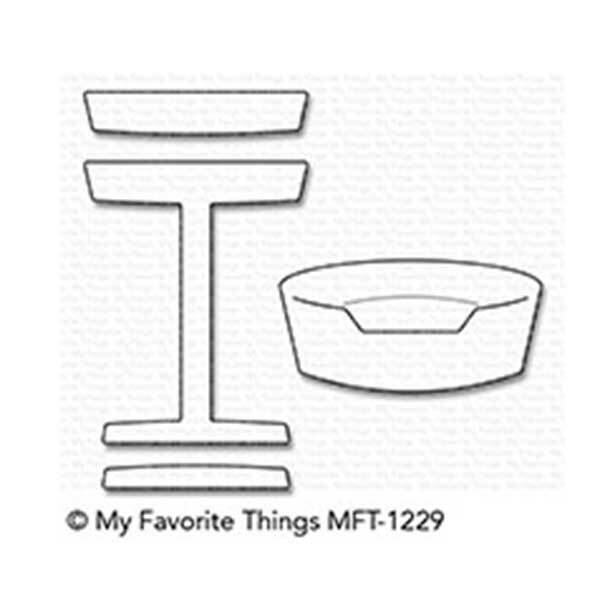 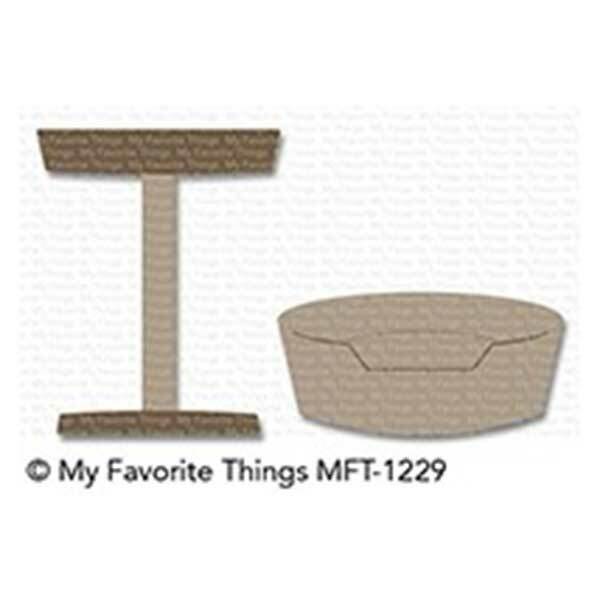 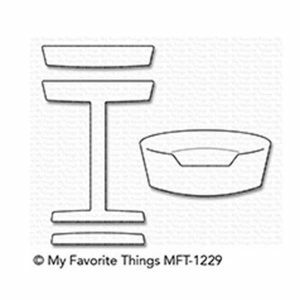 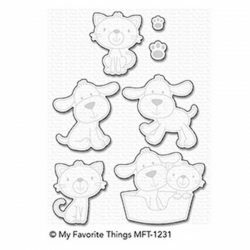 Pet Perches die set by My Favorite Things. 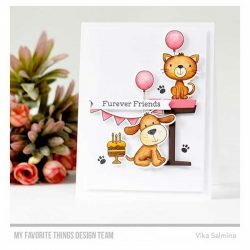 This set is the perfect complement to the furry friends included in Furever Friends but will also work with a wide range of other animals you already own! 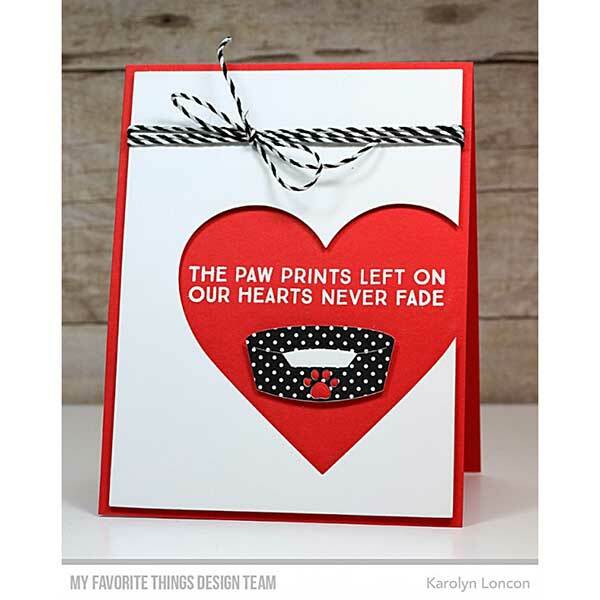 The layered cat stand will provide height and dimension on your cards while the pet bed features a die-cut slit to slide your friends into for ultimate comfort and coziness.